More efficient operations and 20% inventory reduction with the Plex Manufacturing Cloud. Reduced overall inventory by 20% and raw material inventory by 15%. Shop floor operations are more efficient with live scheduling and insight into production. Greater inventory control on what’s in stock as well as what is at subcontracts and on order. One, comprehensive ERP system with built-in quality and EDI has improved communication and turned compliance into an operational strategy. Wisco Industries is made up of two divisions at three locations totaling 300,000 square feet of manufacturing and assembly operations. The Metal Stamping and Fabrication Division, founded in 1946, supplies OEMs in many industries with precision metal stampings, fabrications, sub-assemblies, and complete products. The Food Service Equipment Division, established in 1968, manufactures and distributes pizza ovens, convection ovens, and heated merchandisers. Manufacturing facilities are located in Oregon, Wisconsin (Headquarters) and Cullman, Alabama. Multiple systems, like quality documentation and EDI, did not interface with the company’s on-premise ERP system making it difficult to meet customer demands. Lost production time due to upgrading locally-hosted ERP software and database servers. Costs to upgrade to the current ERP version and add more users became prohibitive. Annual physical inventory processes were manual, labor-intensive, time-consuming, and not accurate. One, comprehensive ERP system with built-in quality and EDI that makes communication and compliance an operational strategy. Always current, versionless software with unlimited users and no additional IT infrastructure investments. Reduced overall inventory by 20% and raw material inventory reduced by 15%. More efficient shop floor operations with live scheduling and insight into production. Losing production time to upgrade a complex ERP system is something that would make any manufacturer cringe. Yet, it happens. But for Wisco Industries the pain didn’t stop there. Along with the complicated upgrades, the company also had a lot of external systems that didn’t interface at all—like quality documentation, SPC, and even human resources information like employee vacation time. Wisco Industries is made up of two divisions: one that manufactures food service equipment and the other does metal stamping and fabrication. When customers requested capabilities like integrated quality and EDI, that’s when the company knew it needed a new ERP. “We were looking for a system that would not only get rid of all these little islands of information but also something in the cloud,” said Bob Hartung, Director of Information Technology. Wisco came across the Plex Manufacturing Cloud in Fabricator Magazine, and what stood out about the system was a unified database. “When we were first looking at Plex, I was impressed because everything seemed to be self-contained within the system. Centralization of data, EDI, the portals—all these things improve communication and build relationship with the customer where needed,” said John Brayshaw, Operations Manager. Soon after connecting with Plex, the Wisco team met Patti Nowak from Control+M Solutions, LLC.—a former Plex customer turned consultant. Patti and her team guide manufacturing companies through Plex implementations leveraging solution architect experience and expertise to ensure a successful outcome. “Wisco really focused on their implementation project and had excellent leadership with the core team and upper management that encouraged discipline and thoughtful work. Those qualities when you’re managing a project are key—especially with an ERP change,” said Nowak. Wisco saw the value the Control+M team brought to the table in helping the company focus on optimizing its Plex implementation. “Patti was the captain of the ship leading us in the right direction. We didn't have a person like Patti on our team and needed her to come in and kind of steer us in that area. It’s been really helpful,” said Mike O’Malley, Controller. The live scheduling and visibility Wisco gained with the Plex Manufacturing Cloud has had a great effect on shop floor operations. Employees are using the Control Panel to record production of all materials, and this has dramatically improved efficiency. “Materials are now flowing better through the shop floor instead of having all this inventory sitting there waiting for something to happen. Plex has definitely made us more efficient,” said John Brayshaw. Now the company can use live scheduling to respond quicker to customer requests without affecting other customer orders or stopping and re-starting production. Wisco can see at any moment what's being done at any workcenter on the shop floor, who the employee is, levels of production rates or quality, and the checks that are in progress or completed. As the company has seen inventory move more efficiently from each step in the production process, inventory control has improved. Gone are the days of the annual physical inventory that involved manually tagging up to 9,000 materials—and spending the Fourth of July holiday weekend in the warehouse. No more searching for materials on the floor that could last up to 20 minutes to locate something. For Wisco, tighter inventory control has resulted in less inventory on the shop floor, better material handling, and faster lead times. The company can also leverage buying power with its suppliers. Instead of purchasing one material at a time, Wisco can place an order for multiple items from one supplier to drive costs down. “What surprised me after we implemented Plex was more accurate close-out and costing. On the sales side, I've been able to hold our pricing without an increase due to that fact that our close-outs are more accurate and our costs of goods are better now than in our previous system,” said Ryan Kjellstrom. 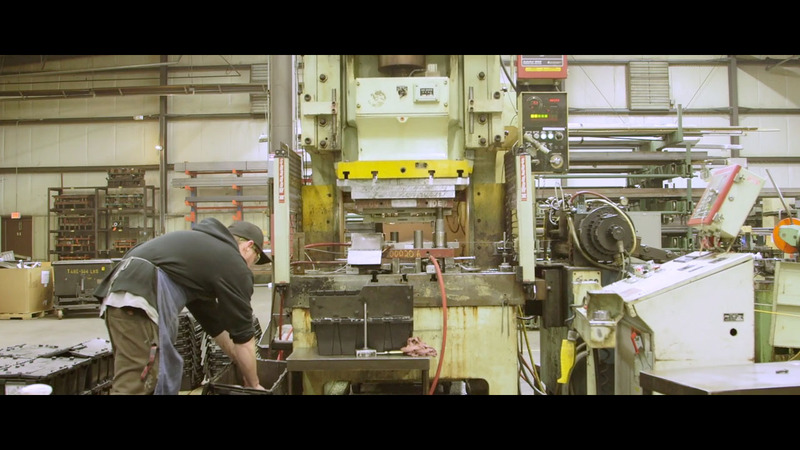 No matter what happens within the manufacturing industry, Wisco feels ready to respond. Mike O’Malley says most of that is out of the company’s control but Plex puts Wisco in a much better position to boost sales. “Better quality, more efficiencies, and enhanced communication. All those things help us build better relationships with our customers—and that’s what Plex gives us. At the end of the day, I think it's going to make our future brighter and more competitive as we go forward,” said O’Malley.